Bush Home Services continues to strive to be the “finest” pest and landscape company in the state. We realize that you don’t get a second chance to make a first impression. Our objective is to earn your business, as well as the business of your friends and relatives. Come on in to our office or idea center and you’ll see what I’m talking about. From the initial planning to the completed project, ever step was completed with professional, courteous and competent teams. Greg Long was. Super easy to work with and had wonderful ideas for our project. 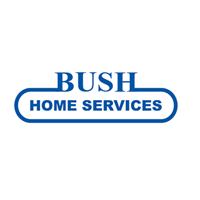 I would definitely recommend Bush Home Services. Did you do the lanai? I left it unlocked . on time ,efficient very pleased with Joey. Brett is diligent at his work. I'm pleased with the job he is doing. A place that has all you desire. The BIG GREEN EGG!!!! Outdoor kitchens,ponds,and the Honey in,which the Bush family harvest from their Hives. I recently contracted a fence for the back yard,and will do business with this Wonderful family throughout the years. Always come when you say you are coming. You go thru the house and check for signs of termites. Your people are nice to deal with. Very Pleasant polite courteous Did a good job. Excsellent service easy to work with. Customer service is excellent. TechniciansWe’re excellent dealt with different types termites and animals very helpful very polite willing to do anything. We were delayed returning home for our scheduled service but Joey phoned us & then returned to complete inside. Very courteous & professional. I am very pleased with Bush services. I won’t hesitate to have them back in the future. Left flag with instructions to keep pets off until dry. Always appreciate the courteous service from Bush Home services. Friendly and informative. Effective. I was very pleased with the workers who put up the fence. He had questions and was concerned that he do it exactly how I wanted it. Thank you very much. I would us them again. The paver sidewalk is beautiful and you did a great job. Great job, we appreciate the call letting us know when they’re coming. We have used Bush Home Services for ten years to manage our pest control. They are true professionals. In the ten years we can count on one hand the number of times they've had to respond to a problem. In every case they responded promptly, efficiently and to our complete satisfaction. If only you could kill the stinkweeds. The Technician is very knowledgeable and can get to the root of any insect problems you my have. Reliable, flexible, courteous service. And no bugs!! Prompt and through. I would recommend this pest control. Personnel are always very professional, knowledgeable, friendly and have a terrific sense of humor. Bush home services takes care of any problems that you might be having to include fencing! The price is more than reasonable and we have recommended them to our friends and neighbors. Bush Home services is just an all out great company! Glad we switched! Friendly, fast service. Always time to talk to the customers with crazy questions. I would recommend your business to anyone who asks, and some that don't. Jeremy and the team provided excellent design and customer service on my fire pit. Already gave a very favorable review. It’s nice to be big free thank you and your men are nothing but polite job well done 👍. I called a week before I moved in and you tech arrived on the day we moved in, he was very knowledgeable and friendly. Timeliness means a lot to me. thanks. They were very professional and answered questions. They cleaned up after the project was completed. I would recommend Bush. Outstanding on time service, technicians very professional and exceptionally detailed, always remembing the smallest detail,the cost is extremely reasonable. I highly Bush Service for any pest control. Good job, as always. Thank you. Bush Home Services installed a custom outdoor kitchen in our home and it is a great asset to our outdoor area. They were responsive, professional, and courteous.